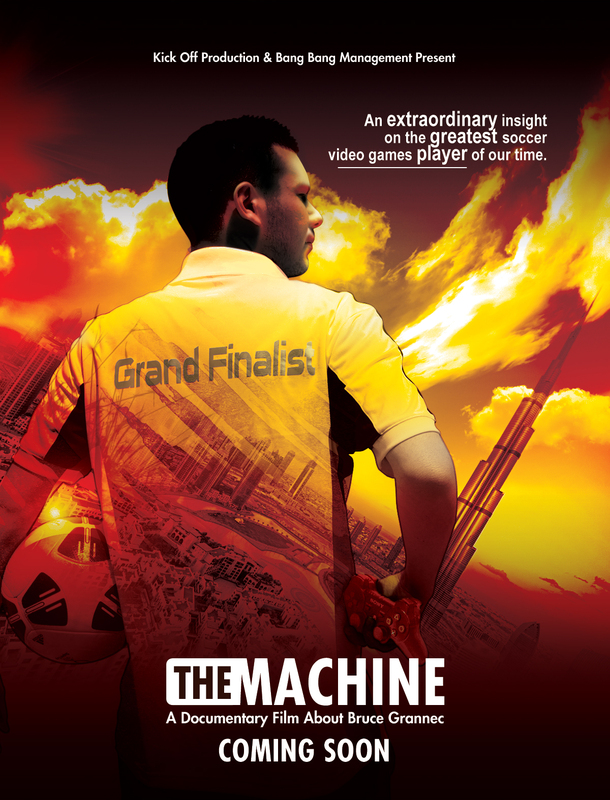 As we recently featured, Bruce Grannec, also known as The Machine, is the best player in the world of football video games. An exclusive documentary film recounts his story in the recent world cup organized jointly by the FIFA and EA SPORTS in Dubai in May and as promised we have the Teaser video plus our exclusive interview with the Machine. The documentary film will be released in the first two weeks of September and it will last 52 minutes. To coincide with the launch of the Teaser video, we also have our unique interview with the man himself, Bruce « The Machine » Grannec. Sweetpatch TV: As a previous World Champion at both PES and FIFA, how do you see the future for both games? 7 to 8 years ago, I couldn’t imagine that I would only be playing FIFA in the future. I think that Konami totally failed the transition to new generation consoles contrary to EA Sport for whom it was a success. I see therefore a good future for FIFA since the game keep on evolving in the right way. However, I’m more worried about PES which does not manage to catch up. Sweetpatch TV: What do you feel is the number 1 reason you have managed to stay at the very top of competitive eSports so consistently? I guess it’s the will. You must have the motivation and the will to participate in competitions after so many years. I think that one of my strengths is that I never rest on my laurels, and I always try to get better. Sweetpatch TV: If you could pass on one piece of advice to budding FIFA champions, what would it be? I would advise players to try their luck in offline tournaments because that’s the best way to improve and to gain experience. Also, it’s important not to get discouraged if you’re not performing well at the beginning, perfomance comes with the time. Sweetpatch TV: As FIFA develops, what would you most like to see introduced in to the game? It’s quite hard to say because the game is close to perfection. However, if I could make some modifications, I would like that building actions become more complicated, that there are more failures in passes and that defence is favoured over the attack. Sweetpatch TV: As FIWC develops, what would you like to see it develop in to? I would like the online qualification system to be modified a bit because it requires to play a lot to have a chance to qualify and not everyone can spend hours on FIFA. I would also like more live qualification events. Sweetpatch TV: What is your favourite feature within FIFA? Simply the realism of the game, the fact that it is close to an actual football game. Sweetpatch TV: If you could change one thing in the competitive FIFA scene, what would it be? Sweetpatch TV: And finally, what are your goals for FIFA 13? Continue to have fun and then try to qualify for another FIWC finals, even though it will probably not be simple because the level is high at the French final. Thank you so much to Bruce for this unique insight in to his world of FIFA and we all now look forward to the release of his full documentary in early September, « The Machine » | A Documentary Film About Bruce Grannec.